The "oohs and ahhs" began even before the gleaming sheen of New Plymouth's latest piece of public art was fully revealed. 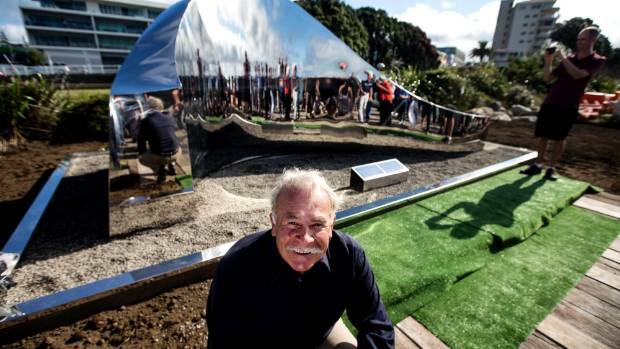 Light on the Land, a stainless steel sculpture designed by Urenui artist Howard Tuffery, was unveiled for the first time along the city's coastal walkway on Friday, much to the delight of the 80 strong crowd. 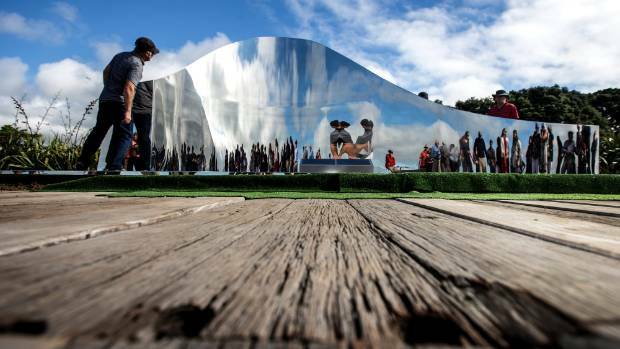 The $100,000 art work was a gift to New Plymouth from Nancy Mills, in honour of her late parents Ernie and Rosemary Ralph, of San Jose California. Mills has lived in New Plymouth for 22 years.